Ifyour AeroFS account has two-factor authentication enabled, you will need to complete an extra step to log intoAeroFSor add new devices to your AeroFS account. Enter your username and password. Or, if your organization uses LDAP authentication or another form of authentication, follow your usual login flow. After logging in, you'll be prompted to enter an additional six-digit code that you'll read from your mobile device to verify your identity. The image below depictsa six-digit code generated by the Google Authenticator app.You will need to get yourcode from the authentication app that you used to set up two-factor authentication. 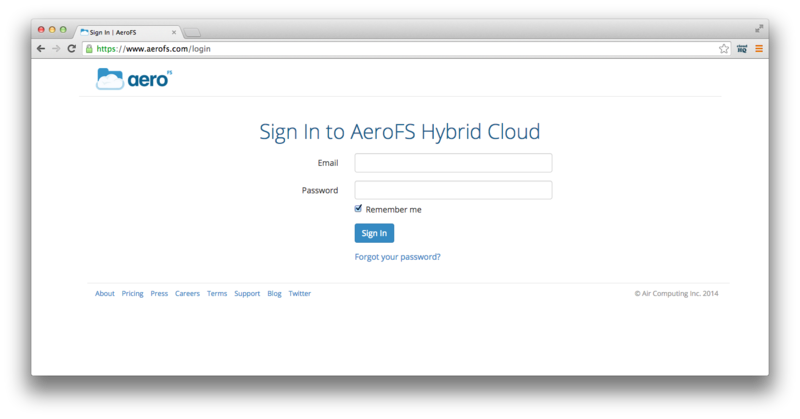 Once you enter the six-digit code and authentication is successful, youwill be logged into your AeroFS Web Admin Panel.